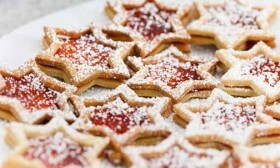 Hamilton Princess & Beach Club will be hosting a Christmas cookie competition for children across the island. Children aged 12 and under are invited to submit two Christmas cookies of any type and decorated as they would like, to be judged by Hamilton Princess & Beach Club’s General Manager, Executive Chef and Pastry Chef. The judges will be looking for Christmas cookies that are well decorated, reflect the spirit of the season and are tasty. The winning entry will receive a pastry class for themselves and up to four other people of their choosing, to be taught by the resort’s Pastry Chef. The decorated Christmas cookies should be brought to the Harbourview Ballroom in the hotel on Thursday, December 21 by 2pm in a clear sandwich bag, with the child’s name and age written on it. Judging will commence at 2:30pm and the winner will be announced shortly after, when the judges have compared notes. Hot chocolate and light refreshments will be served to all those who attend.